Broken jewelry – everybody has some, but nobody wants to just throw it away. What can you do with your broken or damaged gold, diamond and silver jewelry? Empire Loan has 3 options you can do with those broken items that have just been sitting in the bottom of your dresser drawer. Sell it! 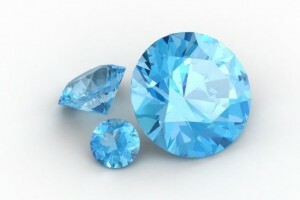 Broken, damaged or simply stray pieces of old gold and diamond jewelry can be turned into instant cash. Remember the earring that you lost the match to? It’s gone forever. How about the chain or bracelet that got crushed when you were doing yardwork? Of course, there’s also the ring that was mangled by the kitchen garbage disposal. If it’s gold, platinum or silver, Empire Loan will buy it, as is, for cash. Simply bring it in and the Empire Loan experts will test it, weigh it and pay you cash on the spot….no matter what condition it’s in. Get a short-term loan! Any gold, platinum or diamond jewelry you have, regardless of the condition, may get you a cash loan. If you want to keep that broken ring your great-grandmother handed down to you, Empire Loan will lend you cash based on the value of the gold and diamonds in the ring. Empire Loan holds it safely and securely in their vaults until you repay the loan and take back your valuables. It’s that easy. You never have to sell your precious mementos, they still belong to you. Empire Loan simply lends you money based on the value of the item. It doesn’t matter what condition it is in, so long as it’s gold or platinum. Silver trades for under $20 an ounce so most silver jewelry may not have enough value for a loan, regardless of what you may have paid for it. Grandma’s silver tea set though could weigh enough that you could get a loan from just a few dollars, on up to thousands, depending on the weight. Fix it! We live in a disposable society. When things wear down or break, we just throw it away and get a new one. Part of the problem is finding somebody who has the ability to fix things properly, particularly with gold and diamond jewelry. It takes a true craftsman to be able to repair a broken chain or pair of earrings. 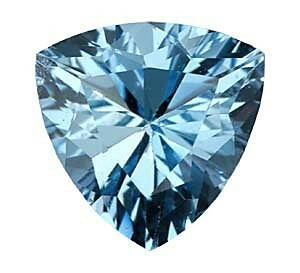 Empire Loan has goldsmiths available to bring your broken jewelry back to life. Even if you’ve just outgrown your ring, Empire Loan’s expert craftsmen can re-size it to fit the way it’s supposed to. We can fix that broken chain, pendant or ring the way it’s supposed to be and it’s like you have bought a new piece of jewelry. Not sure if what you have can be repaired? Bring it into any Empire Loan location and we’ll give you a free assessment and honest appraisal as to whether it can be repaired or not and how much it may cost. Then it’s up to you. Bring your broken jewelry in and see if Empire Loan can make it new again! There is one other option: just let that broken jewelry sit in the bottom of your drawer collecting dust. But why do that when the other options are so much better! 5 Myths About Pawn Shops: Debunked! Pawn shops have gotten a bad rap in the past. Negatively portrayed in the movies, pawn shops are associated with seedy-looking characters and dark and dirty storefronts. Well, the times have changed! 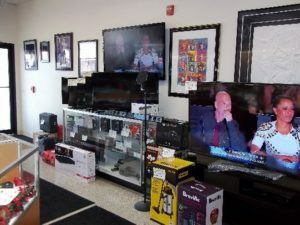 Pawn shops are prominently featured in TV shows as great spots for bargains and the perfect place to get short-term loans that aren’t available from banks or traditional lenders. Modern day pawn shops are clean, well-lit businesses that serve consumers from all walks of life. 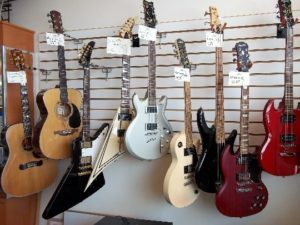 Pawn shops charge high interest rates: Pawn shop interest rates are determined by the state, city or municipality that the pawn shop is located in. Pawn shops in the Boston area are set at 3% monthly while Providence pawn rates are set at 5% monthly. Compare these rates with those in New Hampshire with a monthly interest rate of 20% per month. A smart consumer will find out the interest before taking a loan. You have to make monthly payments: In Rhode Island it is for 3 months and in Massachusetts a pawn loan is for 4 months. This means you do NOT have to make monthly payments. Simply pay the fees and interest that have accrued by the end of the loan period and you can renew your loan for another 3 or 4 months depending on the locatoin of the original transaction. It’s important to know how long the loan is for since some communities may have loan terms that could even be weekly. 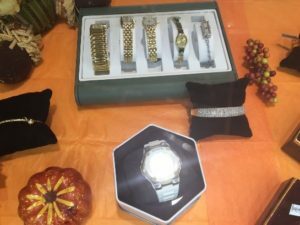 Pawn Shops buy stolen merchandise: Never! Pawn shops report every transaction they make to local law enforcement and then hold onto the item for a specific period of time, giving police the chance to investigate if the items were the result of a crime. Pawn shops are generally required to require government issued ID’s, take photos of the items and the person who brought them in and to provide these photos to police if asked. This makes it easier for police to recover stolen items and prosecute the criminals. Pawn shops do their part to NOT take stolen items. 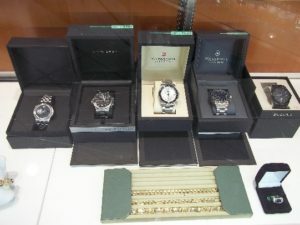 Pawn Shops try to cheat people, offering below market value: The value of certain items goes up while others go down. A reputable pawn shop would be happy to explain how they came up with their offer. 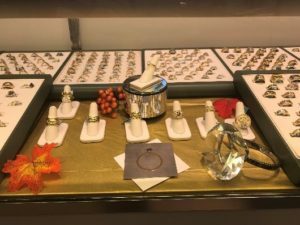 Gold & diamond jewelry is generally valued on the scrap value of the gold and a percentage of the wholesale value of any diamonds, not what you may have paid for the item at retail. Because the price of gold goes up and down with the market, the amount you may be offered on a buy or a loan may change by the minute. With miscellaneous items like electronics, the value falls the minute you open the box and because technology keeps changing, the 2-year-old TV, laptop or digital camera you have may even be obsolete by now. Most pawn shops search websites to determine the used resale selling price of an item and offer a percentage of that. This means the TV that you paid over $1,000 for may only be worth a $100 loan. Don’t be afraid to ask how they came up with their offer and to shop around for the best offer you can get. On Monday October 3rd, 2016, a new law took effect from the Federal Government titled the Military Lending Act that affects Pawnbrokers and other lenders nationwide. Though the law was crafted primarily to control abuses by predatory lenders such as payday lenders and title loan companies. The law requires lenders to offer those on active military duty, their spouses and dependents a capped interest rate of 36% annually. The purpose of the law was to rein in some of the exorbitant interest rates and fees being charged by these predatory lenders. In certain instances, these lenders charge monthly interest rates of 2O% or more along with other fees and penalties. In addition, many of these types of loans tie into a consumer’s bank account and report to credit rating agencies, resulting in deeper credit problems and spiraling debt for recipients. Now when a customer comes into any of Empire Loan’s 8 locations they will be asked if they are “active duty military or a spouse or dependent of one”. If they are, Empire Loan will be in full compliance and waive any appraisal fees. Regarding the 3% monthly interest, Most Empire Loan stores were already in compliance due to rates set by the local communities we operate in. If you are active military or the dependent or spouse of one, Empire Loan wants to thank you for your service and make sure you are getting all the benefits that you are due. 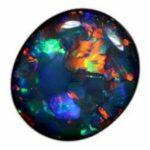 October is a special month with the changing of the seasons and a choice of two birthstones that come in a wide range of colors; opal and tourmaline. 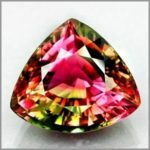 Tourmaline has become very popular in jewelry due to the wide range of colors it can be found in. There is something for every style and taste. 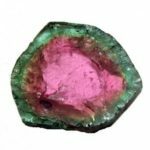 Tourmaline is best known for featuring multiple colors in each gemstone, featuring two, three or more colors in a single gemstone and is known for having the widest range of colors of any gem. The more distinct these color differentiations, the more desirable to stone is. Tourmaline colors ranges from black, blue or dark brown through green, red, pink and yellow. 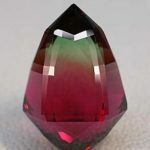 One type of tourmaline is referred to as Watermelon Tourmaline for its green and red color variation in a single stone. 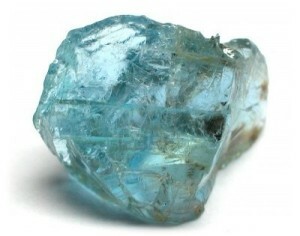 Tourmaline is found all over the world including Afghanistan, Brazil, East Africa in even in the US. 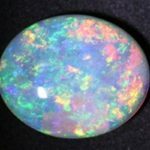 The other October birthstone is the opal, from the Greek Opallos, meaning “to see a change (of color)”. 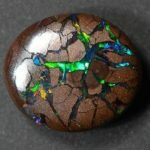 Opals also show a wide range of colors from a milky white to black with flashes of yellow, red, green and blue. 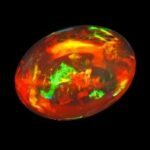 The 3D reflection within opals is one of the stones finest and most notable features. 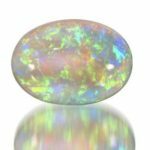 Crystal or Water Opal is transparent to semitransparent with a clear background and shows exceptional play of color. This August marks the 25th anniversary of the worldwide web as we know it. Online shopping, college classes and degrees, recipes, email, movies & music, just about anything you can imagine can be found on the web. Cars are wifi hotspots, medical records are accessible, and how-to videos have changed the world as we know it. In the pawn industry, there have been technological advances that have helped customers and pawnbrokers alike. 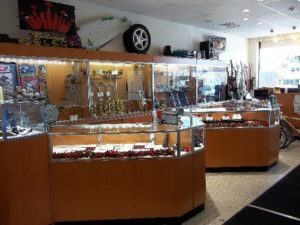 Empire Loan, a chain of pawn shops in Massachusetts and Rhode Island, has been leading the way. Another technological benefit Empire Loan offers their customer is an online loan center that allows customers to pay their loans from anywhere by logging onto www.EmpireLoan.com. “The Loan Center was created to allow customers to renew their loans or even redeem them without having to come into the store” says Goldstein. “Our customers can’t always get in to the store to pay on their loans because of work, travel or just not having the time. The best feeling is when they call in a panic about not being able to get into the store. We tell them to just log onto the website and they can pay through the web. You can almost hear the relief in their voice. People have paid while they were on vacation, at work, anywhere they happen to be really”. Pawnbroking may be a centuries old industry, but pawnbrokers like Empire Loan have taken it beyond just New England, and into Cyberspace! Interest Rate: Empire Loan charges the lowest interest allowed by MA or RI law in every city we operate in. Maximum rates are set by the state and local municipalities, and Empire Loan adheres to that in every store we operate in. How do we know we’re the lowest? We have visited our competitors and found some charging as much as 7% per month. That’s almost double what any Empire Loan location charges. Fees: The law allows pawn shops to charge a variety of fees, and many of our competitors charge as much as they can. At Empire Loans 8 locations in Massachusetts and Rhode Island we charge an appraisal fee. 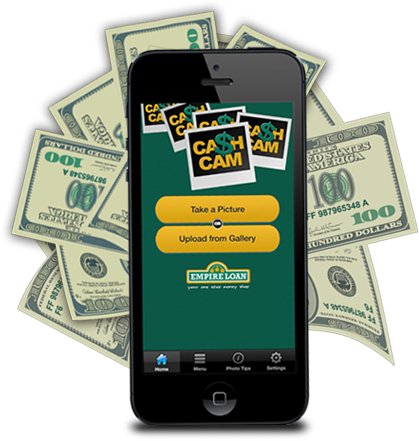 We have seen competitors charge origination and closing fees, photo fees ticket processing fees. This can sometimes total more than the loan itself. The worst of these are the late fees. One Empire Loan competitors is charging $35 for a late fee. That’s 5X what Empire Loan charges! Educated Customers: Empire Loan believes every customer should understand every part of the transaction: how the process works, how we evaluate your merchandise and valuables, what fees and interest charges are, and what it takes to pay off your loan and get your items back. Empire Loan pawnbrokers review the loan ticket with all new customers and makes s ure to explain everything they need to know. That’s why close to 90% of customers who pawn with Empire Loan get their merchandise back. If you have ever thought about getting a pawn loan, there is a difference. Feel free to shop around and experience the Empire Loan difference. There is Empire Loan and then there is everybody else.